Maximizing Progress: How's the T? 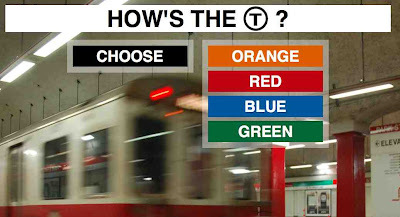 ~ MBTA Subway Status Updates! Thanks to Jarrett Goetz for spotting the NSFW version of How's the T? website. Useful!